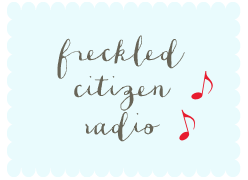 Freckled Citizen: Globes o' Cuteness: How-To! 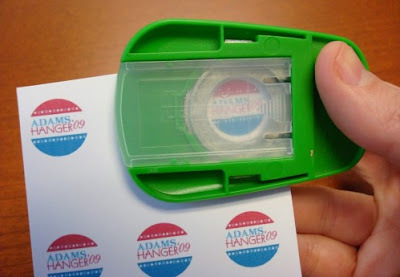 Step 1: Cut out a circle of the image you want in your magnet. We used our wedding logo, initials, designs, photos, you name it. The circle punch makes this step a breeze. I printed my images onto cardstock so they’d be stiffer against the glue, but anything will work - even pages torn out of magazines. 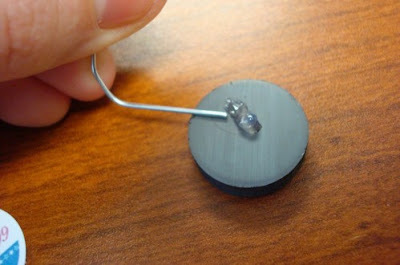 Step 2: Put a small dot of glue onto the magnet and spread with a paper clip or toothpick. 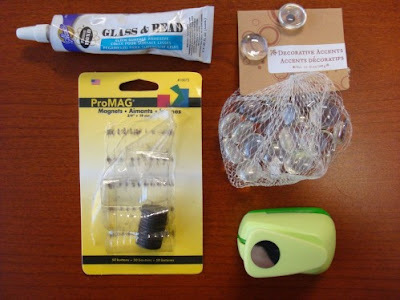 Step 3: Place your paper circle onto the magnet and press. 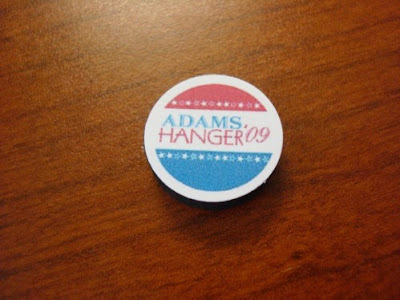 You’ll notice that I sized our logos smaller than the magnet; that’s because I wanted to see all the text even with the marble’s magnification. 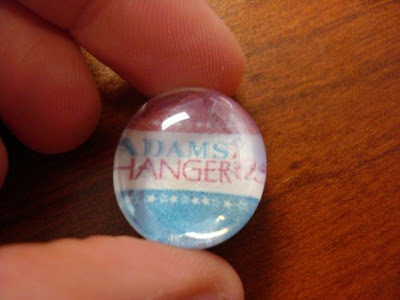 With more graphic images, I sized them right at 3/4 inch. 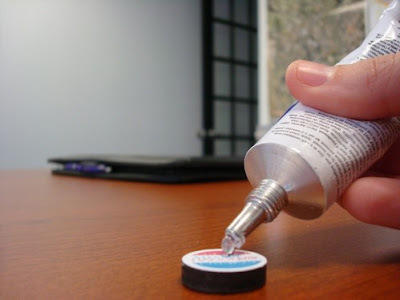 Step 4: Apply a second layer of glue to the magnet and spread, just as you did in Step 2. Step 5: Place the glass bead on top of the glue and move it around until you’re happy with the placement (you’ll have about 30 seconds to do this before the glue starts dying). When you like the way it looks, apply pressure to the entire magnet for a few seconds to help it stick together. Step 6: Voila! 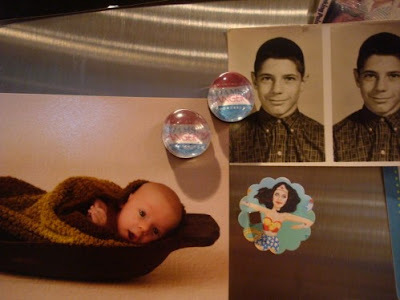 Affix to your fridge and ooh and ahh at its DIY cuteness! Thanks! 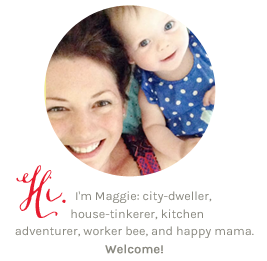 I can handle that- I have been trying to find cute inexpensive magnets and cannot find any! Now I shall make my own. Also, I am thinking east coast now- tour of small town weird food festivals?